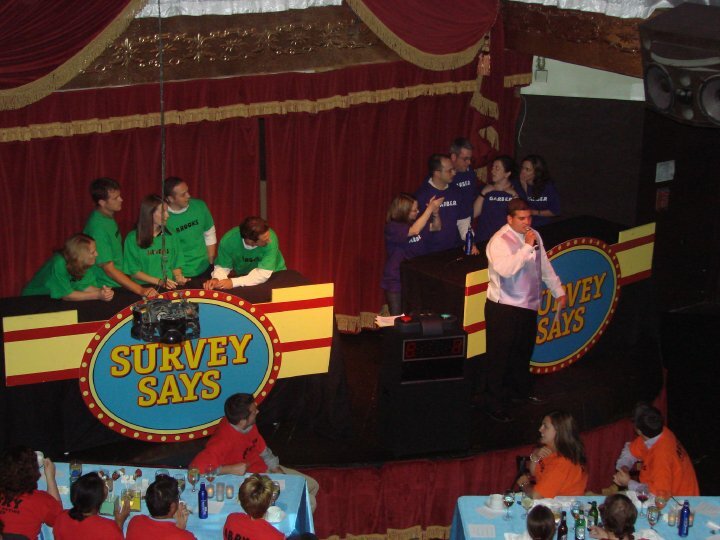 Much like the Family Feud style game show, we would like to present FABULOUS Feud!! 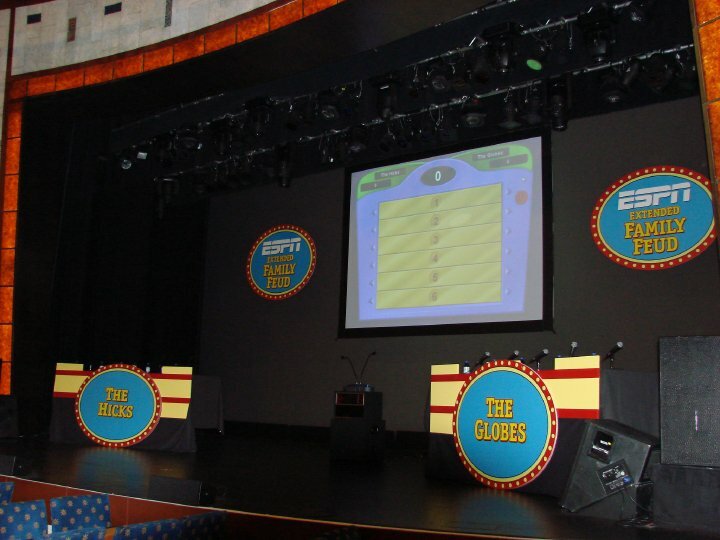 A 10-person interactive, customizable trivia show, makes for a great form of entertainment. 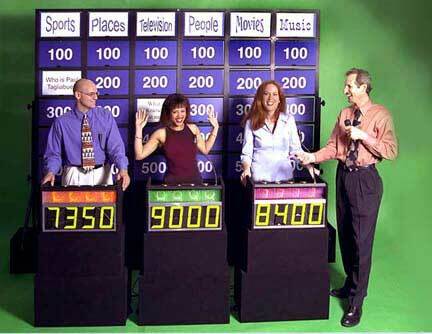 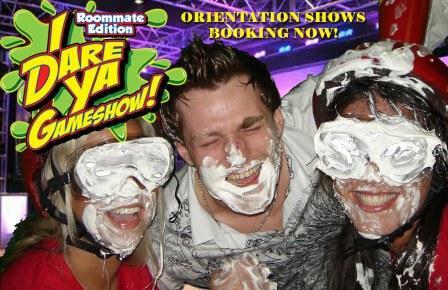 This game show is perfect for team building! 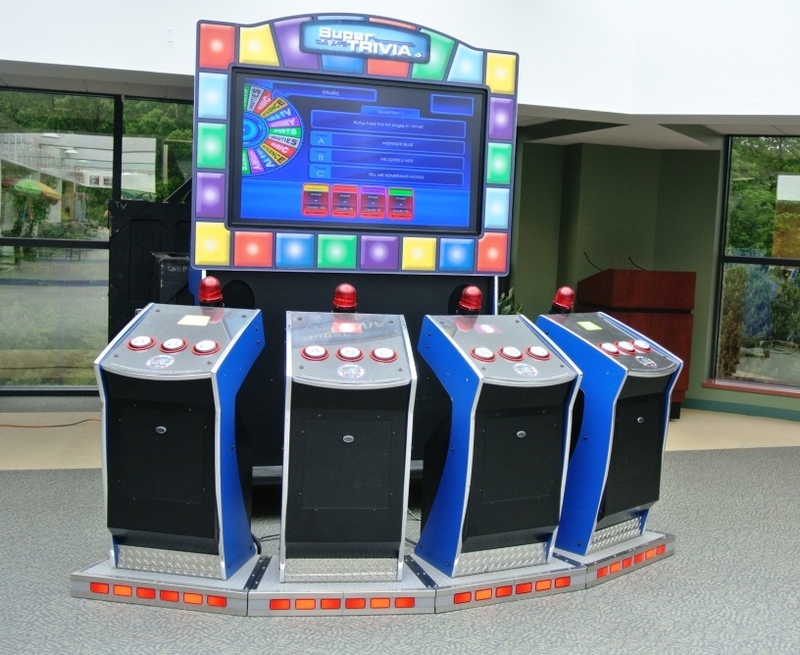 A great recreation of the popular TV game show complete with host, lock out buzzer and a giant projection screen, the Family Feud game show will leave guests thinking and strategizing to beat out the other team with fast hands and the number one answer!